Two-time Walkley Award winner, Virginia Trioli is one of Australia’s best-known journalists, with a formidable reputation as a television anchor, radio presenter, writer and commentator. She is much sought-after as a speaker and MC, and combines a rigorous interviewing style with an often wicked sense of humor. 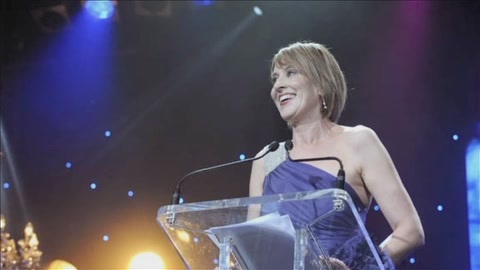 Virginia has held senior positions at the Age newspaper and the Bulletin magazine For eight years she hosted the Drive Program on 774 ABC Melbourne, and the Morning Program on 702 ABC Sydney. She has been the host of ABC TV's premiere news and current affairs programs, 7.30 and Lateline, also Artscape and Sunday Arts. She is a regular fill-in host on Q and A.
Virginia is married with three step-children, a four year old, and one chocolate Labrador. Virginia is based in Melbourne and is available for events nationwide. If you are looking for someone with reputation, professional style, wit and substance please contact the team at Ovations about Virginia Trioli today.